Beautiful Balboa Park! 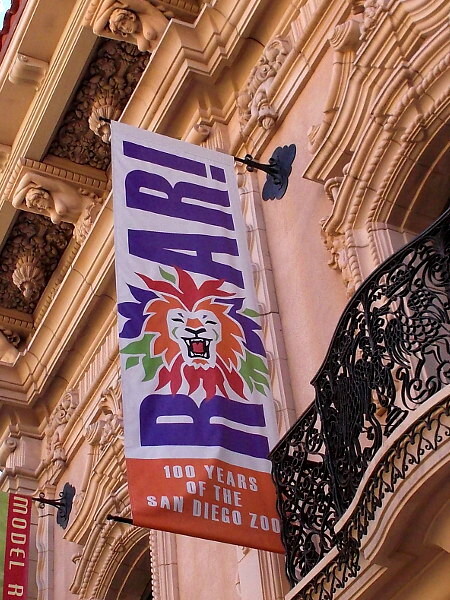 – Page 17 – Amazing culture and fun in the heart of San Diego. A new dawn of hope at the International Cottages. 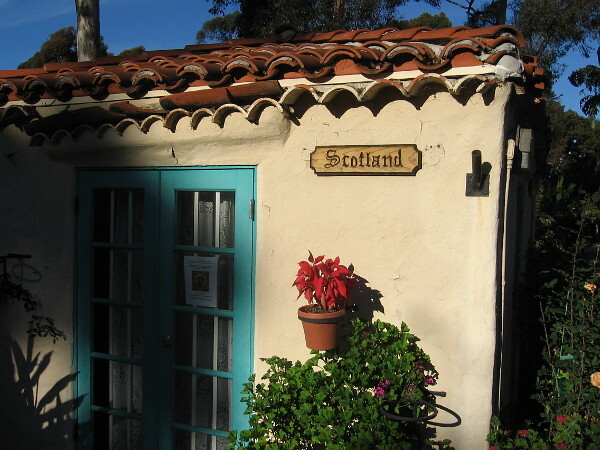 Early morning light upon the House of Scotland, a member of Balboa Park’s harmonious House of Pacific Relations International Cottages. Every morning in Balboa Park brings beauty. At the House of Pacific Relations International Cottages, near the center of the park, the sun rises on the participating member nations in a new dawn of optimism and hope. The theme of the International Cottages is world peace, harmony and mutual understanding. The cultures of different nations are celebrated, and people welcome each other with smiles and goodwill. Nine new cottages are being built. Among the nations who will enjoy their own cottage is the House of Korea. 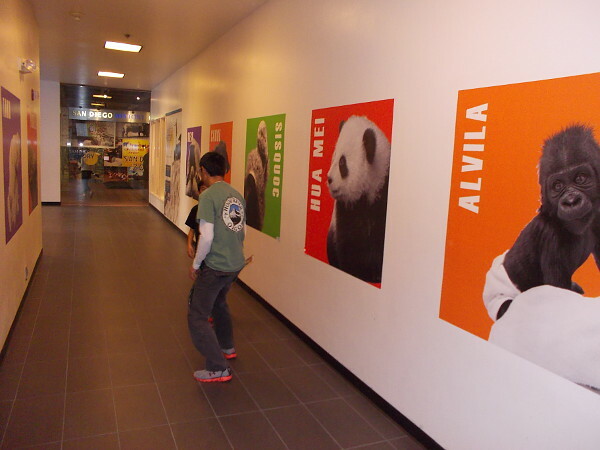 On a recent Sunday, they displayed examples of their culture in the Hall of Nations. They’re optimistic funds can be raised to build their cottage, and usher in a new dawn. 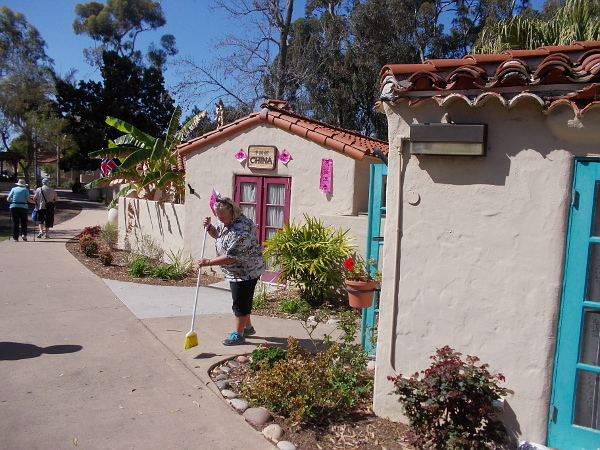 Sweeping in front of the small national cottages in the morning, before many Balboa Park visitors arrive. The House of Korea is one of nine nations that are building new cottages. On a recent Sunday they exhibited in the Hall of Nations. 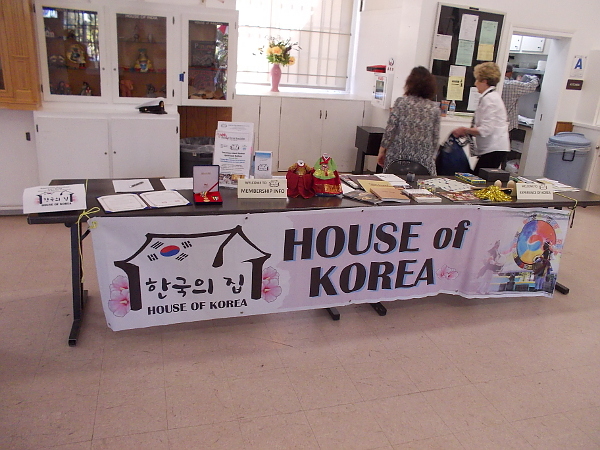 The House of Korea displays national pride. 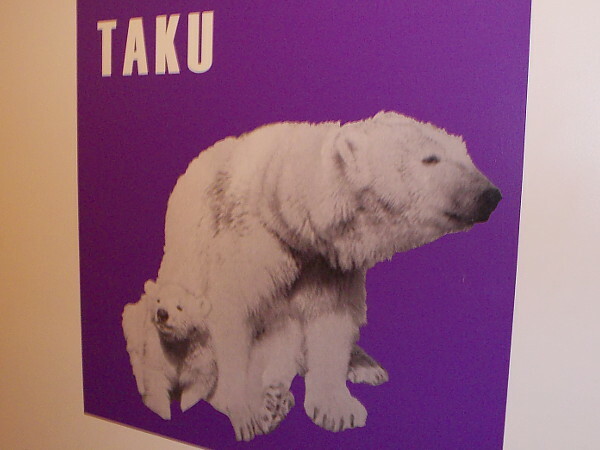 They seek new members. Anybody can join. 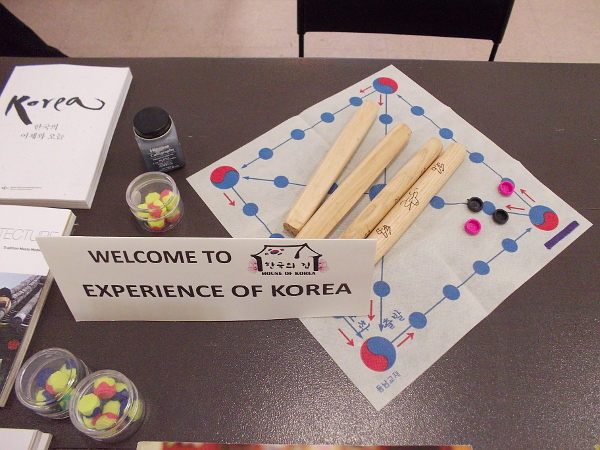 A table contains objects and books that celebrate Korean culture. 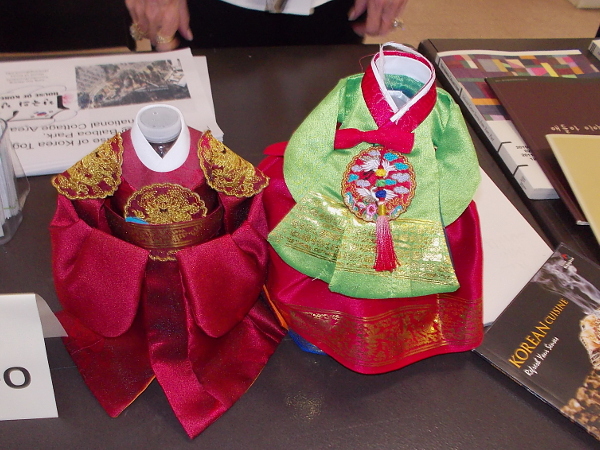 Colorful small versions of Hanbok, the traditional Korean dress. 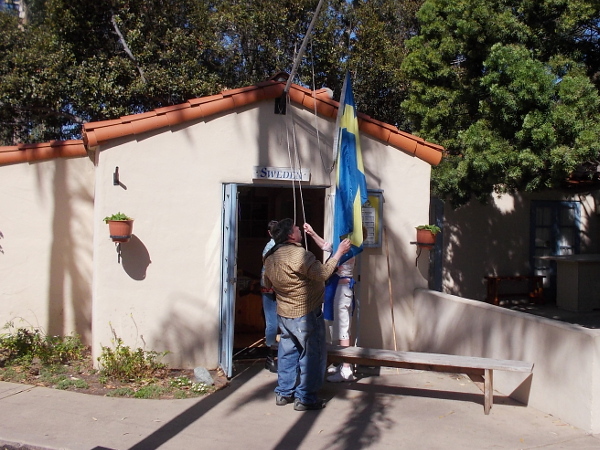 Raising the flag at the House of Sweden. Another day of hope, optimism and mutual understanding begins. 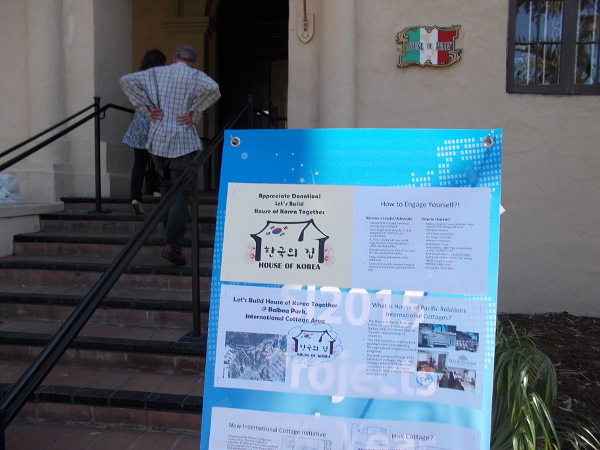 Posted on February 25, 2016 March 8, 2018 Tags balboa park, culture, hope, house of korea, international cottages, korea, morning, optimism, peace, sunday, tourism, travelLeave a comment on A new dawn of hope at the International Cottages. 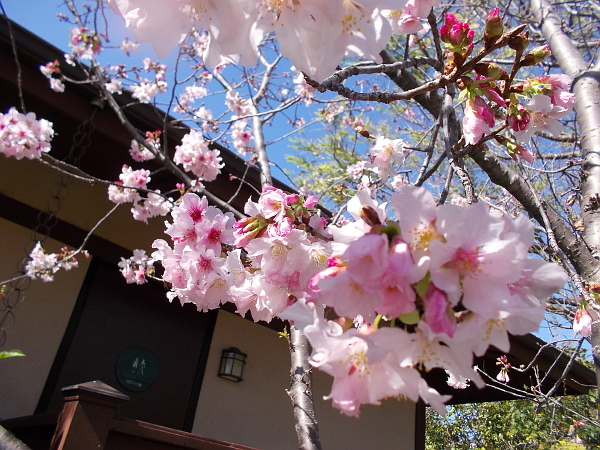 Early cherry blossoms at Japanese Friendship Garden! 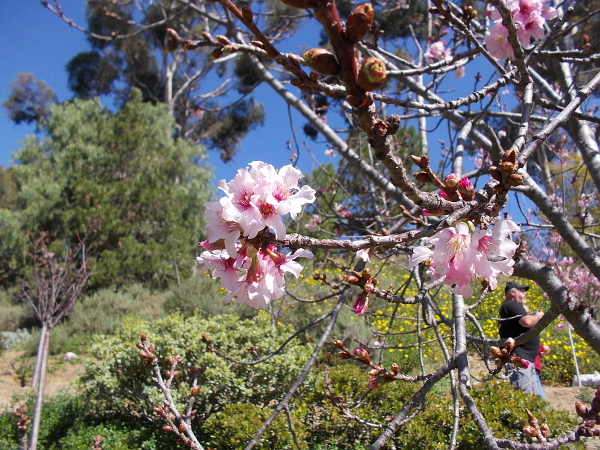 Cherry blossoms are opening in mid-February at the Japanese Friendship Garden in San Diego’s beautiful Balboa Park! 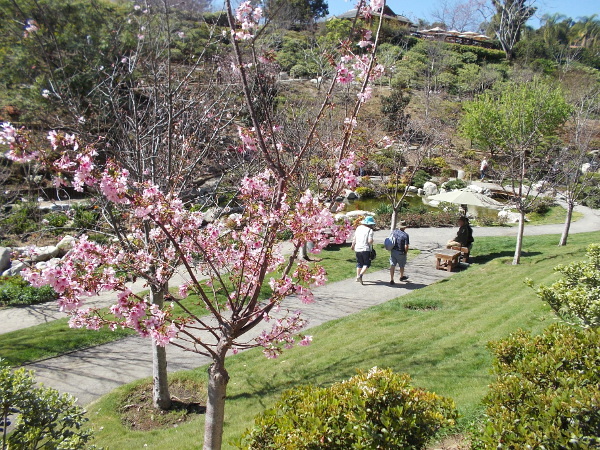 It’s mid-February and many cherry blossoms have already opened at the Japanese Friendship Garden in beautiful Balboa Park! 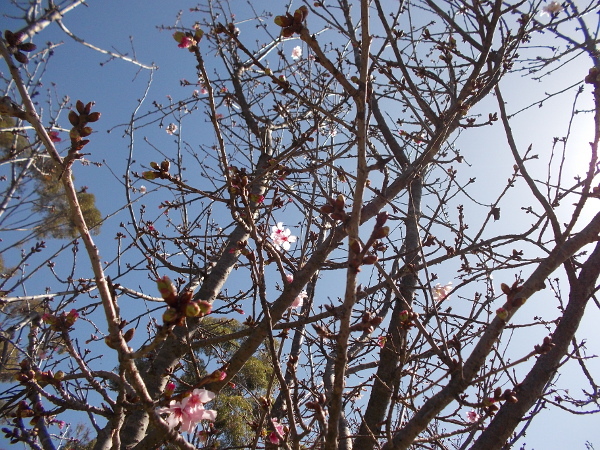 I was told that the many early blooms are probably caused by our recent warm weather. Please enjoy these photos from late this morning! 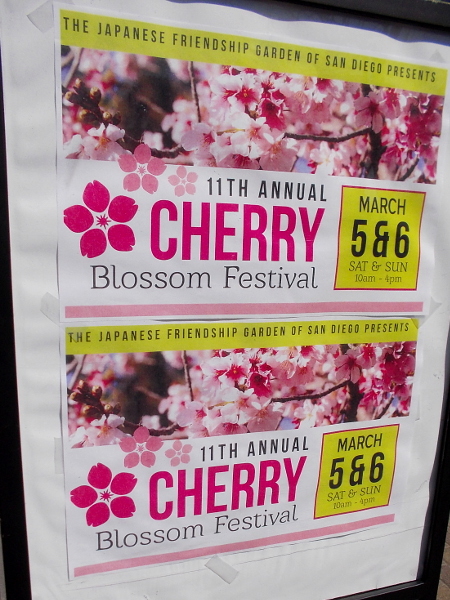 The Japanese Friendship Garden of San Diego presents the 11th Annual Cherry Blossom Festival next month, March 5 and 6. 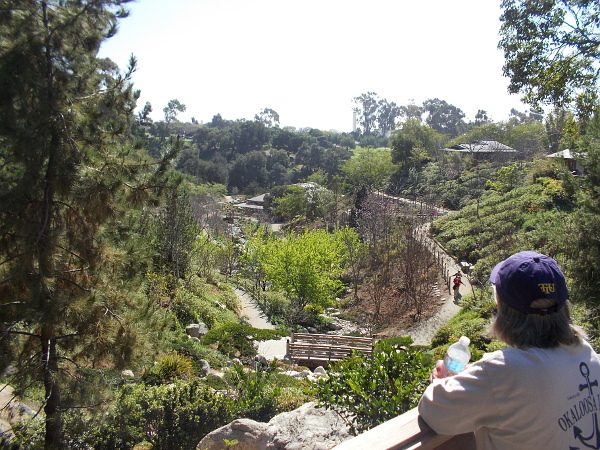 Balboa Park visitor gazes down into the Japanese Friendship Garden canyon expansion where a grove of flowering cherry trees awaits. 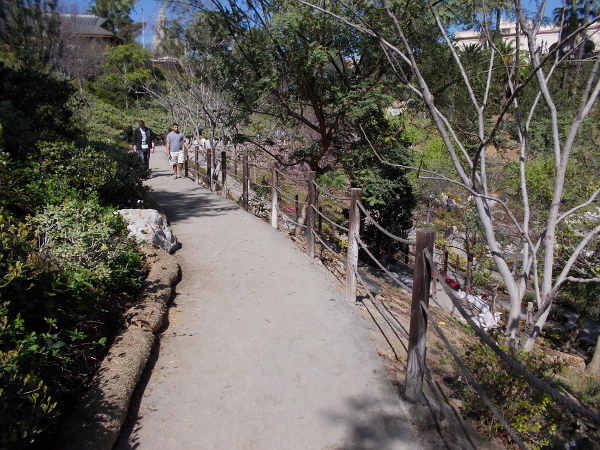 Walking along a path into the wonderful canyon garden. 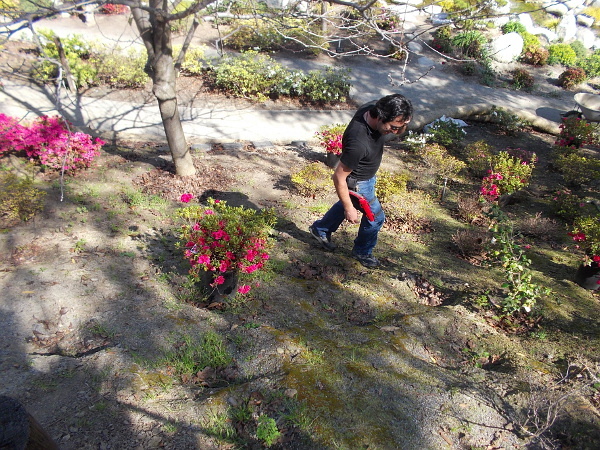 A gardener plants azaleas, in preparation for the popular Cherry Blossom Festival in March. 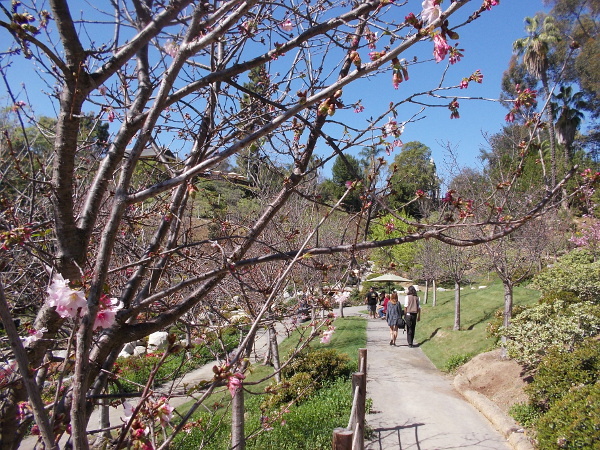 A photographer by the canyon stream focuses on cherry blossoms that have already opened. 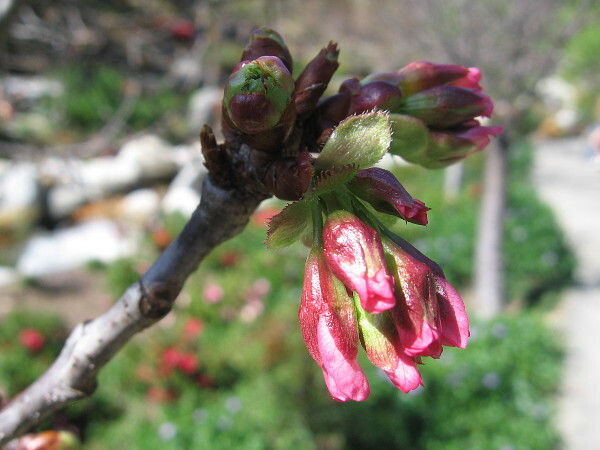 Some ornamental Japanese cherry trees have only a few opened blooms among many reddish buds. 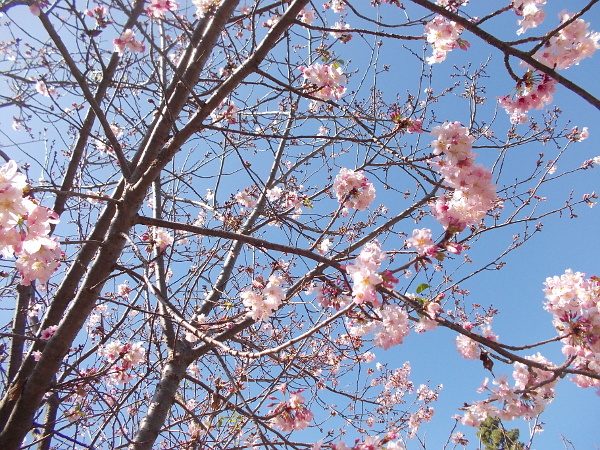 Other nearby trees already have a profusion of pink flowers. 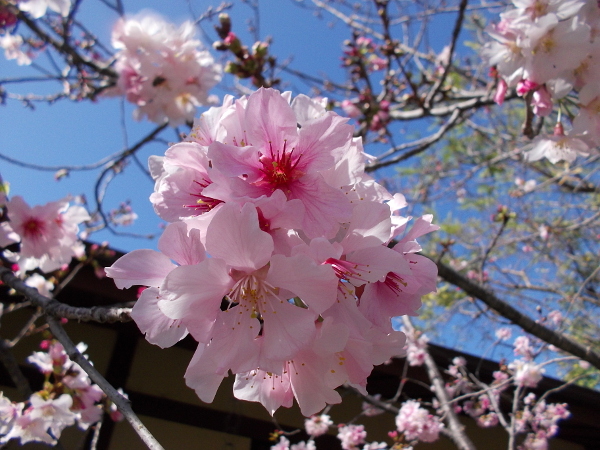 Clusters of pink and white cherry blossoms in beautiful Balboa Park. 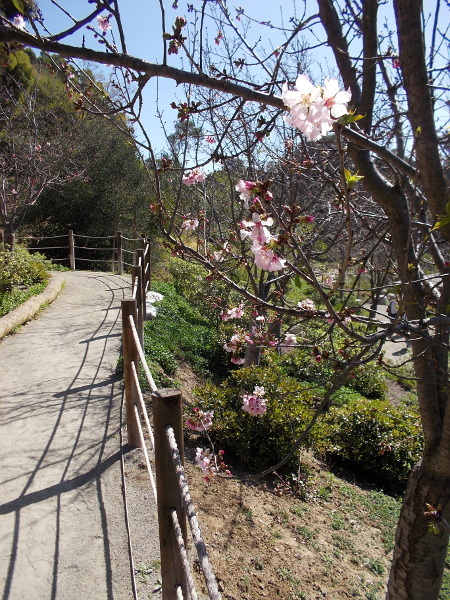 One of many tranquil, sunny paths at the Japanese Friendship Garden. People are enjoying another perfect San Diego day. Walking in a grove of flowering Japanese cherry trees. 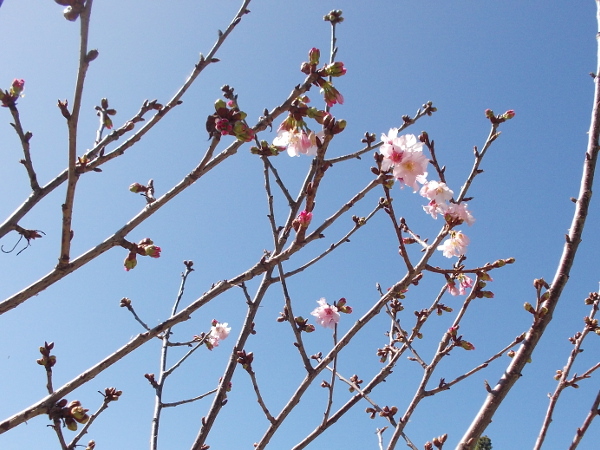 Glossy buds, delicate blooms and blue sky. 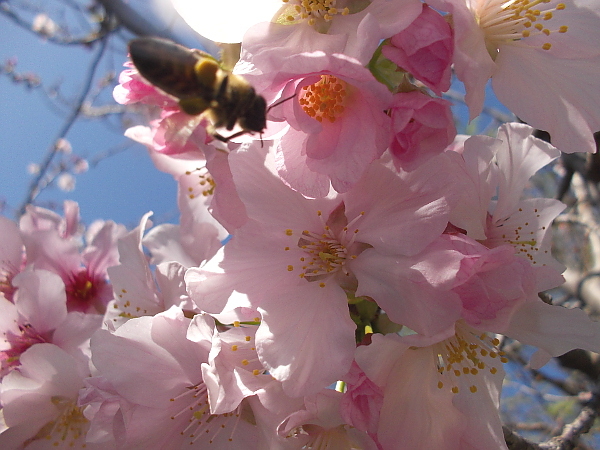 A bee is glad these cherry blossoms are open and inviting. Some red and green buds almost ready to bloom. A miracle right in front of you. 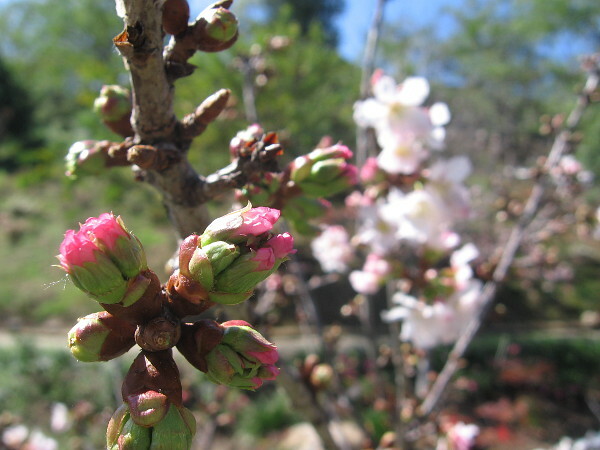 This year’s Cherry Blossom Festival at the Japanese Friendship Garden promises to be abundant with beauty. I live in downtown San Diego and love to walk! You can enjoy more photos of Balboa Park and other Cool San Diego Sights via Facebook or Twitter! 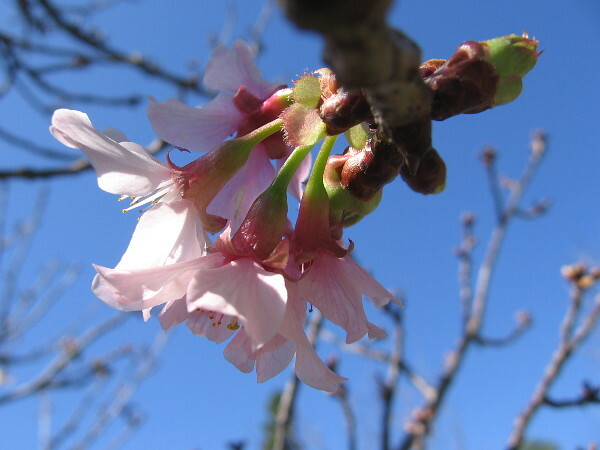 Posted on February 21, 2016 Tags balboa park, beautiful, cherry blossoms, color, flowers, gardening, gardens, japanese friendship garden, nature, photography, san diego, trees2 Comments on Early cherry blossoms at Japanese Friendship Garden! 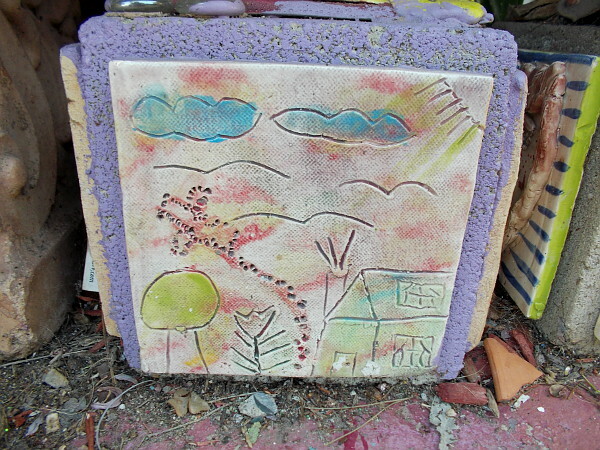 Artistic ceramic tiles and a free treasure hunt! 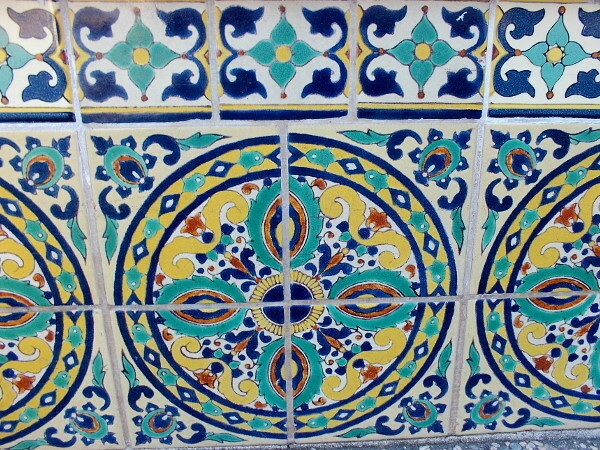 Tiles in a large ceramic sign, which welcomes visitors to Spanish Village Art Center in Balboa Park. A treasure hunt is coming up this weekend in Balboa Park! The event takes place on Valentine’s Day (Sunday, February 14) and is courtesy of the artists of Spanish Village! 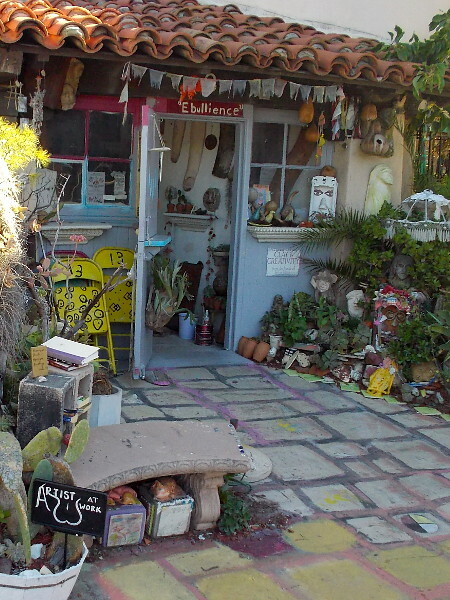 The free treasure hunt, which is open to absolutely anyone, is called the 2nd Annual Spanish Village Art Abandonment. 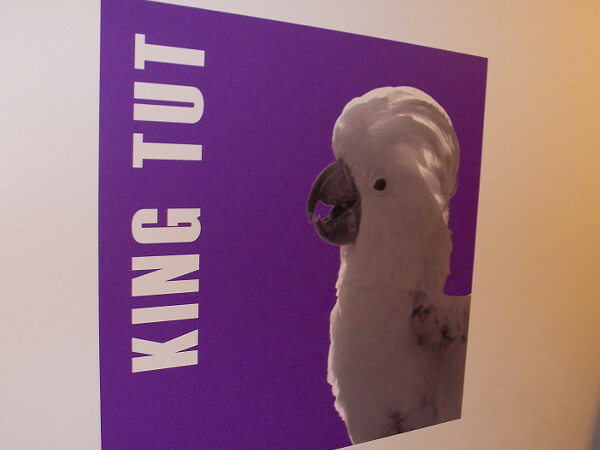 Between 11am and 4pm, Balboa Park visitors will be able to find (and keep) free works of art hidden all around the park! If you’re lucky enough to discover a unique piece of art, you’ll be able to track where you found it online! Please follow the WordPress blog of my artist friends at Spanish Village! 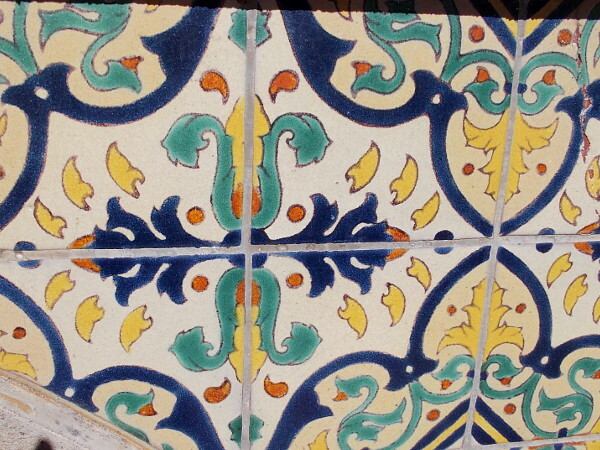 Close-up photo of some tiles along the curving base of a small fountain in the Alcazar Garden. Complex symmetric designs, which seem to contain Moorish influence. 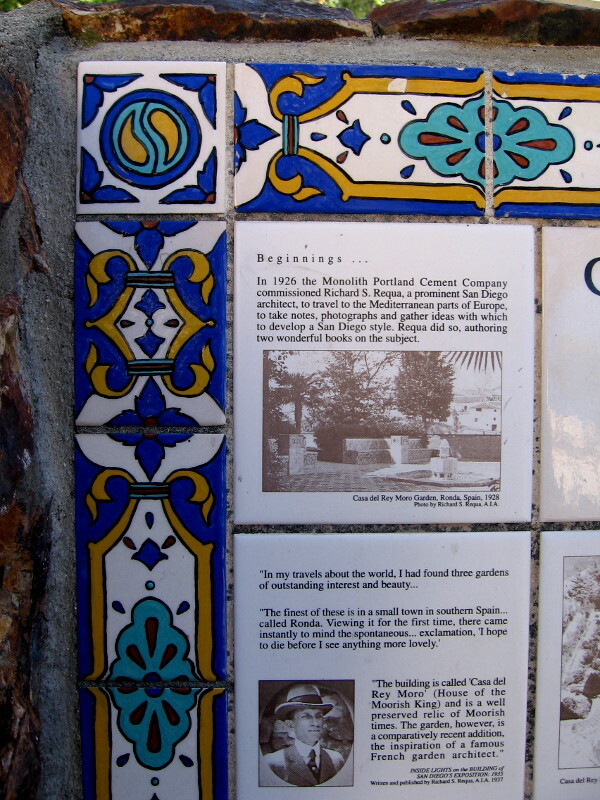 These tiles adorn one bench near that same fountain. 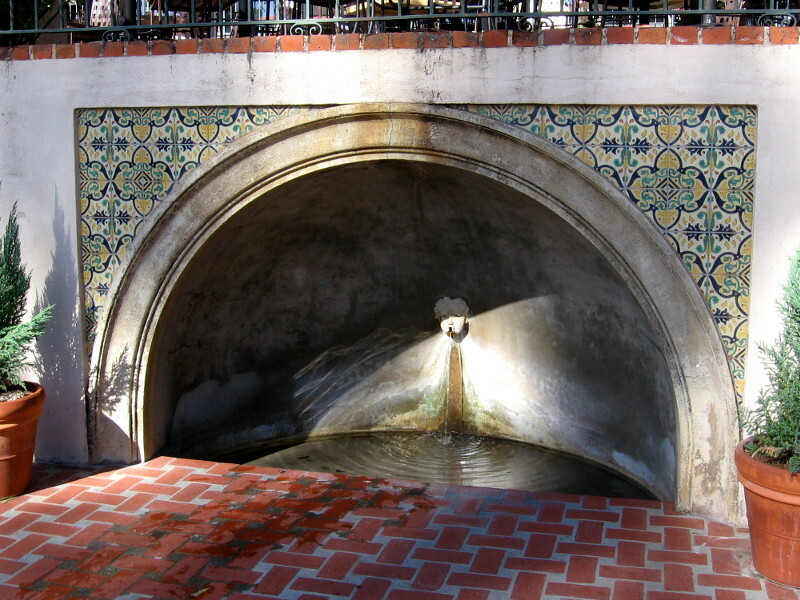 A single weathered tile at the edge of the fountain. The small, ornate fountain and two of its benches, alive with delightful color. 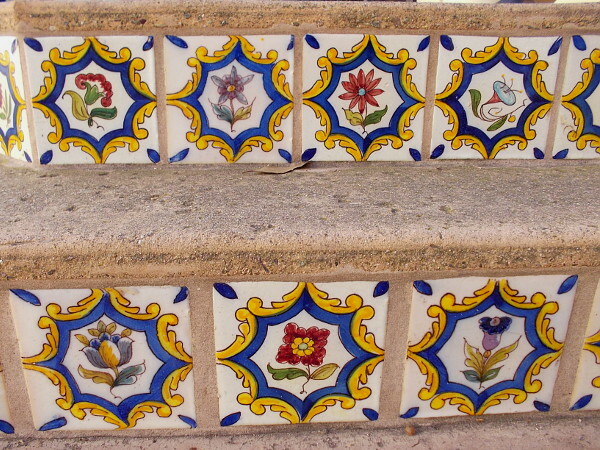 These decorative floral tiles are along the base of a second fountain in Balboa Park’s very popular Alcazar Garden. Multiple ceramic tiles depict different flowers. 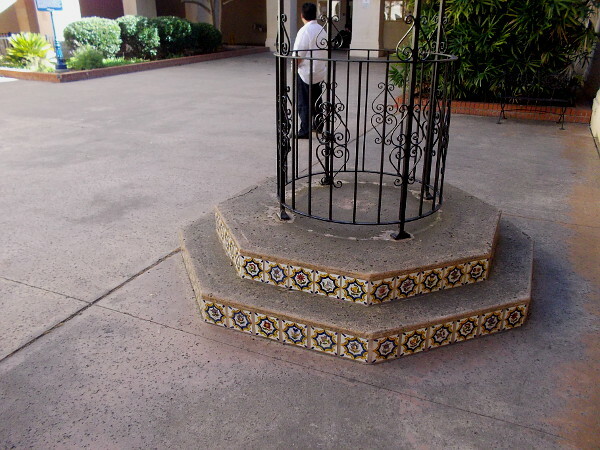 You can spot these in the Casa del Prado courtyard in Balboa Park. 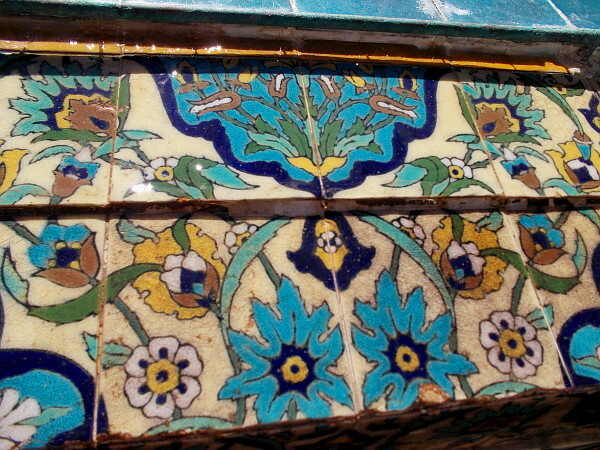 A wider view of the cheerful flower tiles. 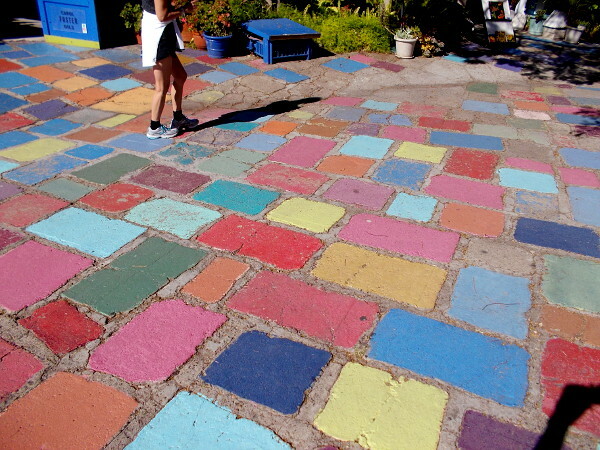 These brightly painted “tiles” form the multicolored patio between artist studios in Spanish Village. 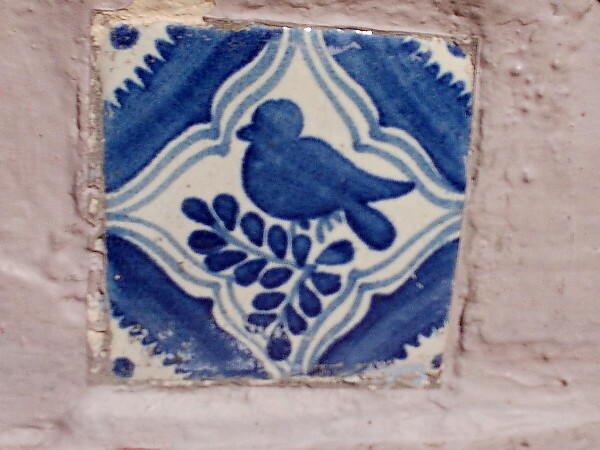 A blue bird in a faded ceramic tile, embedded in the base of a Spanish Village patio planter. 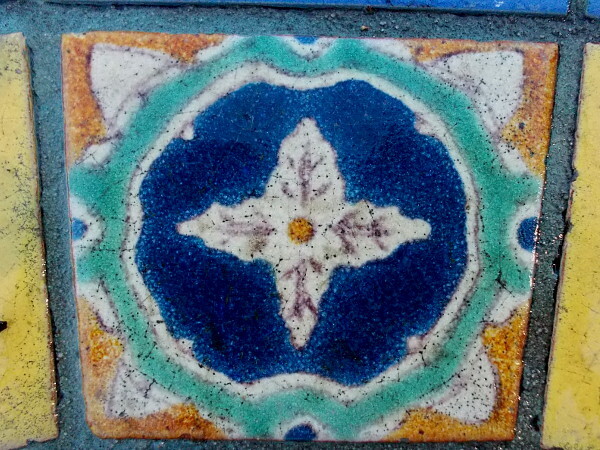 Another weathered tile, in the same planter. 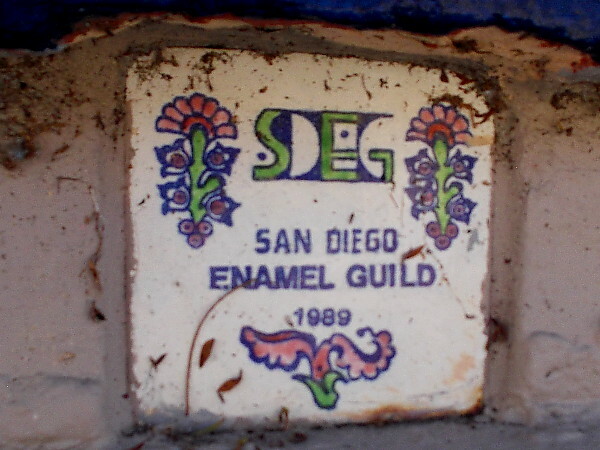 This tile in one Spanish Village planter is dedicated to the San Diego Enamel Guild, dated 1989. 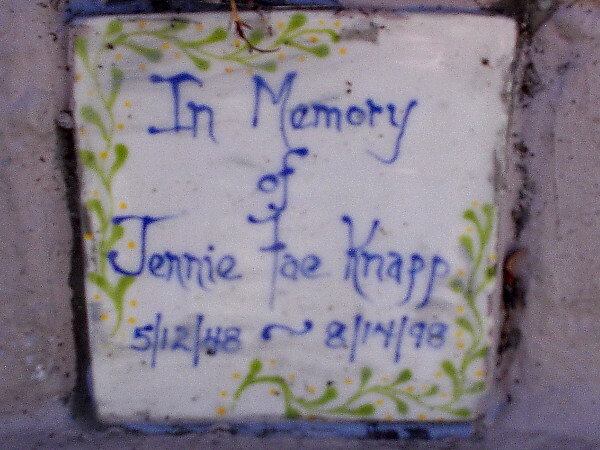 Another time-faded tile remembers a loved one. 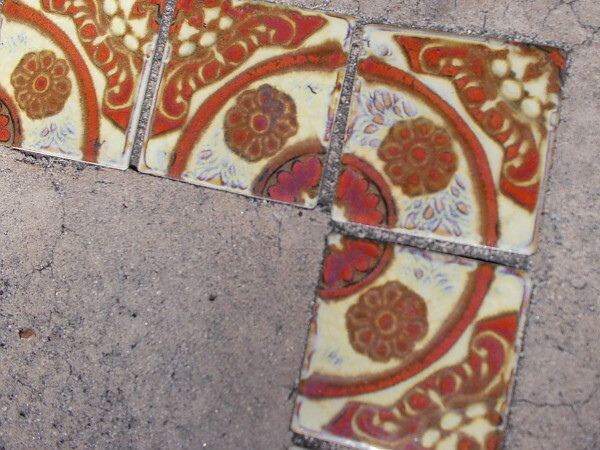 A fun tile under a bench just outside the door of Studio 13 in Spanish Village. 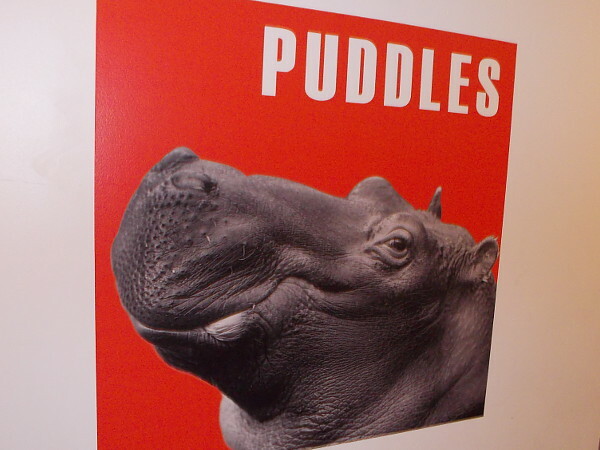 It appears to have been created by an imaginative child. The fantastic front of Studio 13. 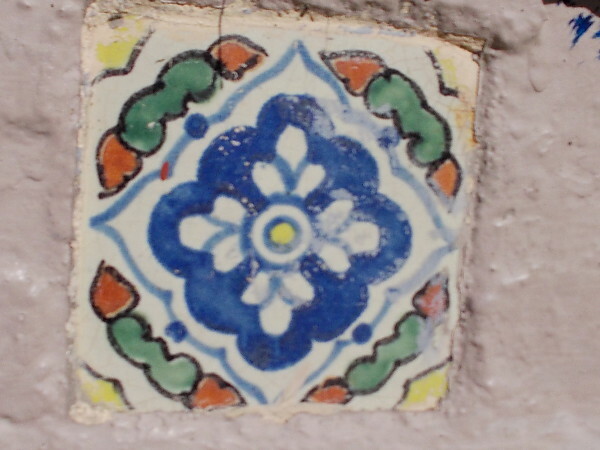 These tiles are embedded in an otherwise plain concrete bench on the east side of the Casa del Prado. 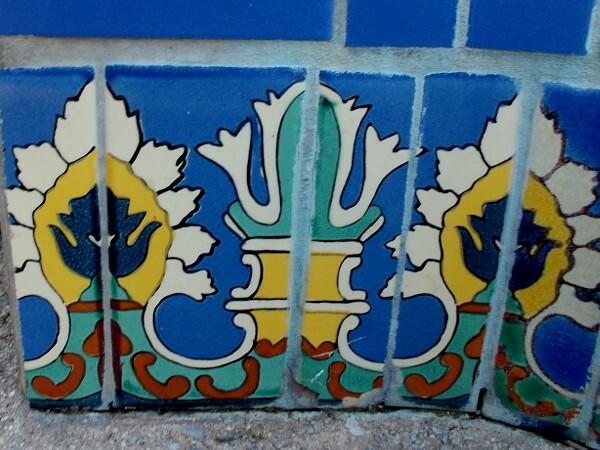 Brightly colorful ceramic tiles, part of a cascading fountain at the end of a walkway between the Casa de Balboa and the House of Hospitality. 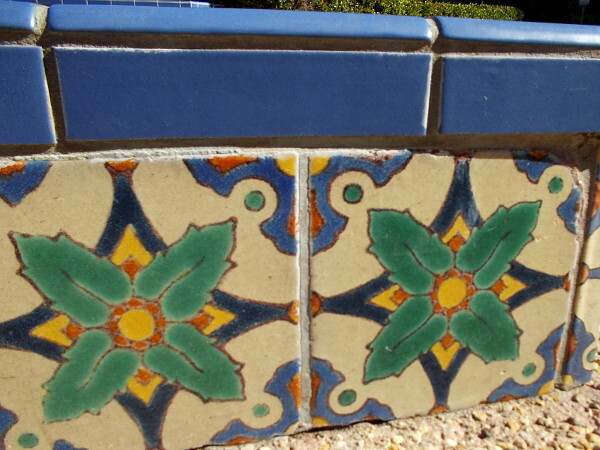 Unusual designs in the tile border of an information sign, just outside the Casa del Rey Moro Garden in Balboa Park. 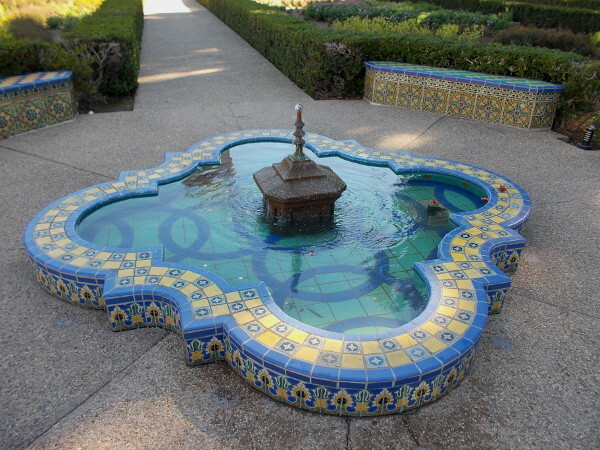 A classic, quiet fountain in the Casa del Rey Moro Garden is surrounded by stylish tiles. 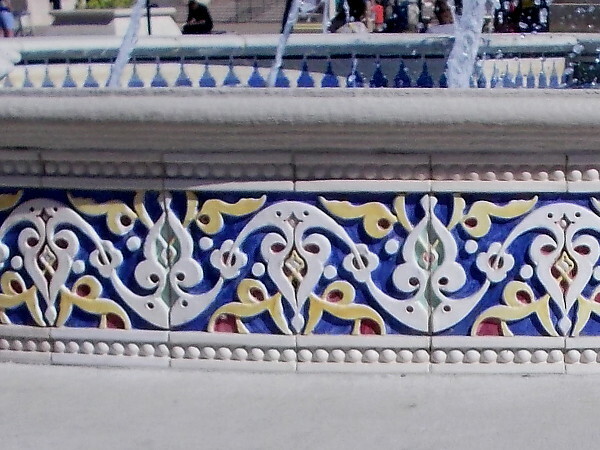 Close-up photo of the beautiful ceramic tiles around the recessed fountain. 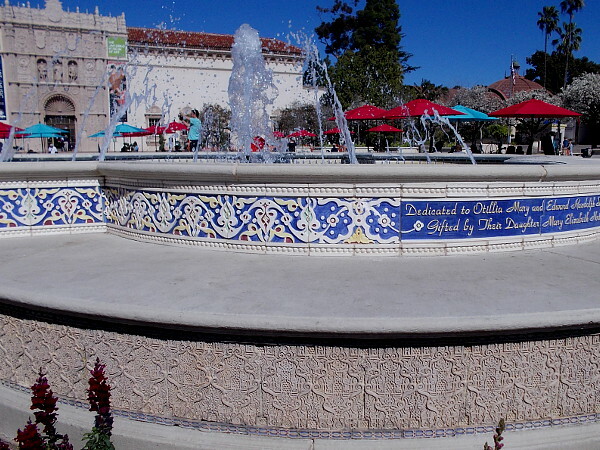 The large fountain at the center of the Plaza de Panama in Balboa Park has two bands of very elegant tilework. More wonderful artistry. Balboa Park contains unexpected beauty at every turn. I live in downtown San Diego and love to walk! 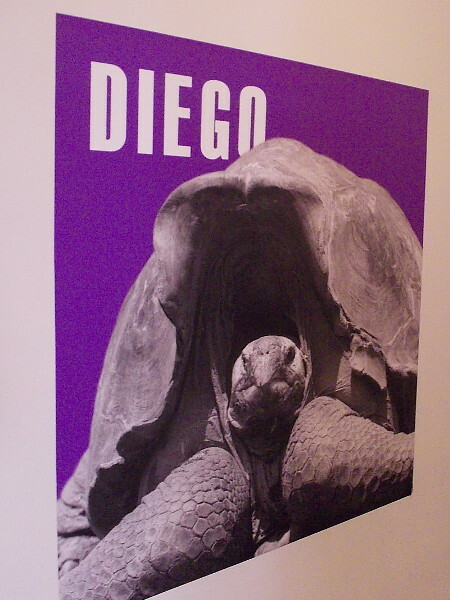 You can enjoy many more Cool San Diego Sights on Facebook and Twitter! 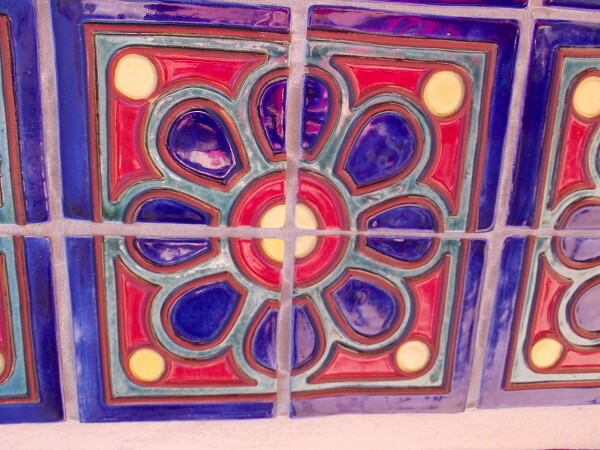 Posted on February 9, 2016 December 26, 2016 Tags art, artists, balboa park, ceramic, color, events, flowers, fountains, free, public art, san diego, spanish village2 Comments on Artistic ceramic tiles and a free treasure hunt! 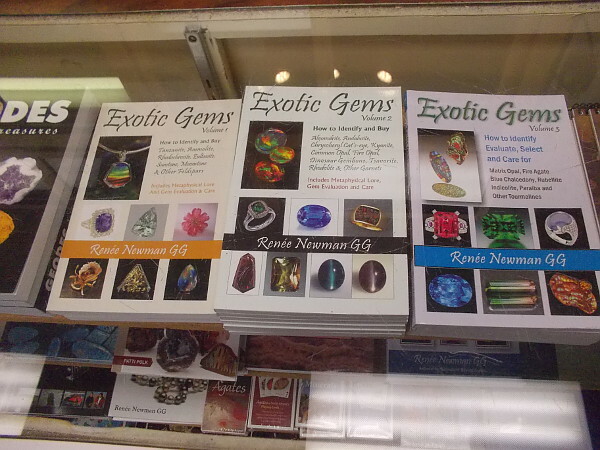 Beautiful gems, minerals and jewelry in Balboa Park! 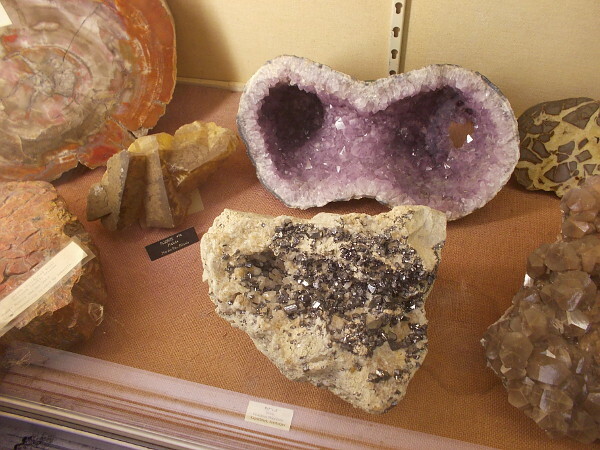 Beautiful geodes, crystals, gems, minerals, agates, fossils and jewelry can be found in a very cool place in Balboa Park. Okay, I admit it. Possibly my very favorite place in Balboa Park is filled with rocks. Really beautiful rocks! And gems and fossils and jewelry and carvings . . . 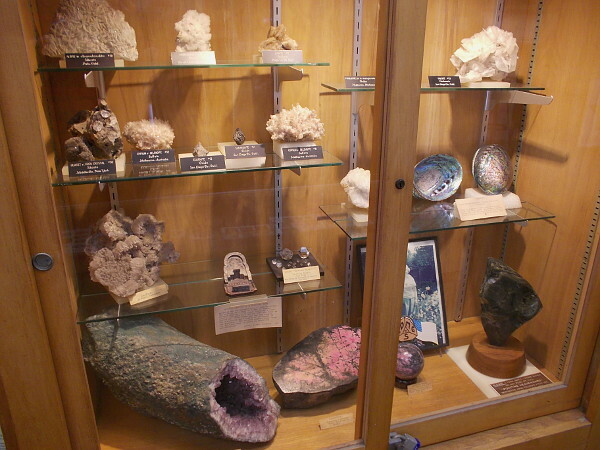 Yes, I’m talking about the San Diego Mineral and Gem Society Museum, which is located at the north end of Spanish Village. Anyone who “digs” the beautiful natural productions of Mother Earth needs to drop on by. It’s free! And those who want to learn about the lapidary arts should seriously look into joining the society or taking classes. They’ve got a well-equipped lapidary workshop in one room where members facet and carve and polish . . . turning gems, metal and minerals into treasures fit for royalty. An open door beckons near Balboa Park’s Spanish Village. 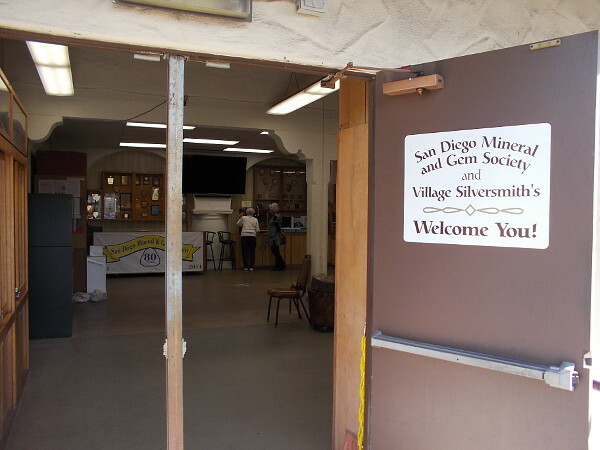 San Diego Mineral and Gem Society and Village Silversmith’s Welcome You! 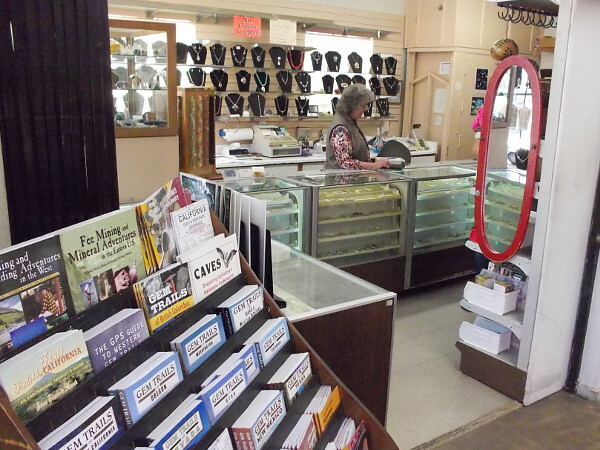 Lots of handmade jewelry, gems and semi-precious stones can be found in the glass counter display. There’s also lots of literature for rockhounds. Any hobbyists interested in collecting rocks and minerals, or learning lapidary skills should swing on by. 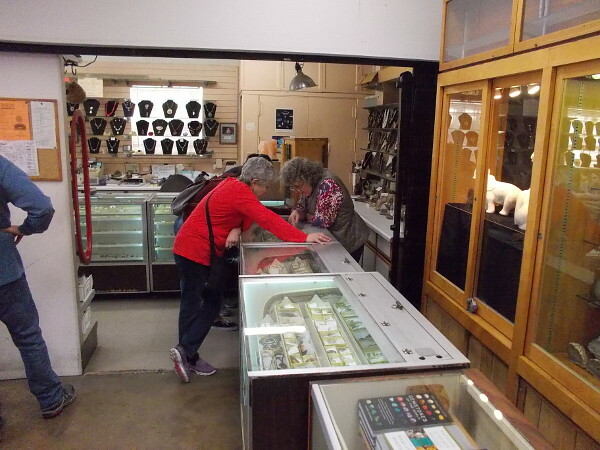 Balboa Park visitors examine some exquisite handcrafted jewelry for sale. 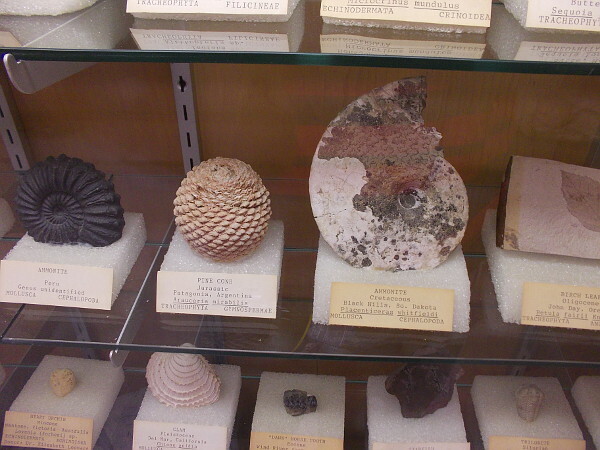 Throughout the amazing San Diego Mineral and Gem Societies’ Museum you can see all sorts of beautiful geological specimens. 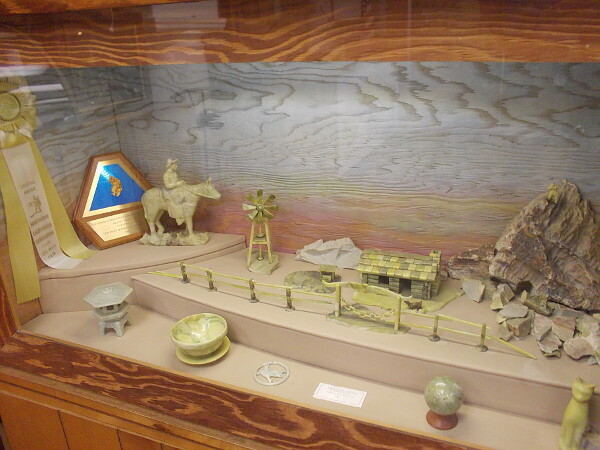 Pieces in this diorama are made of carved Serpentine. 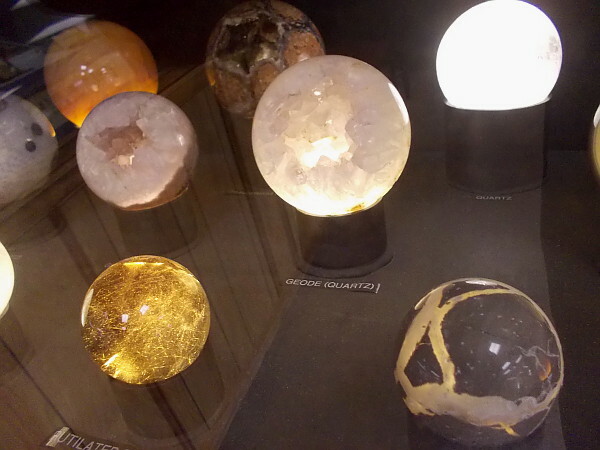 Carefully made Quartz spheres dazzle with natural color. With a little added light they glow, appearing like magic crystal balls! 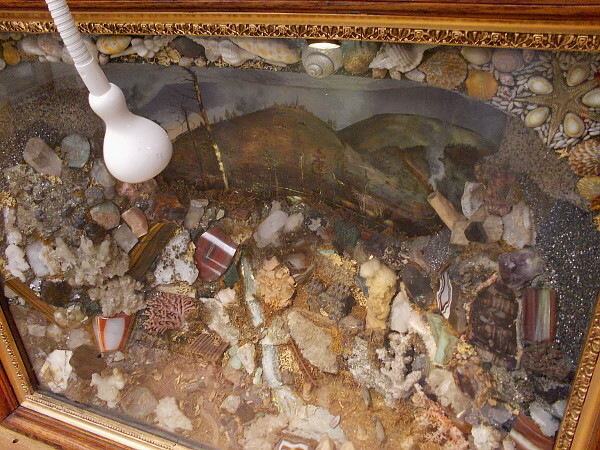 A natural history-themed diorama made of agates and crystals. It was created in the late 19th century, and is a unique artifact in this cool museum. 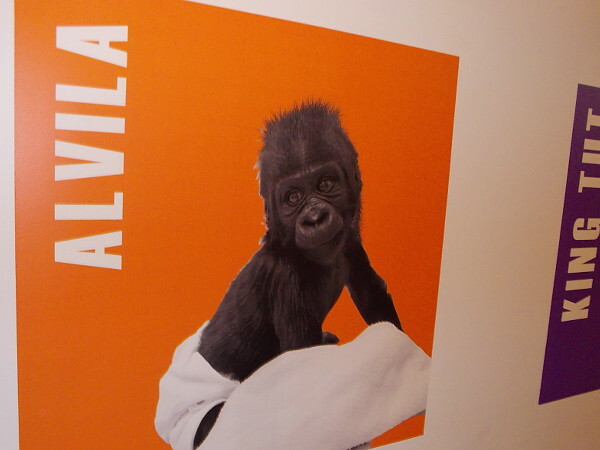 Sign provides some info about the above Natural History Diorama. 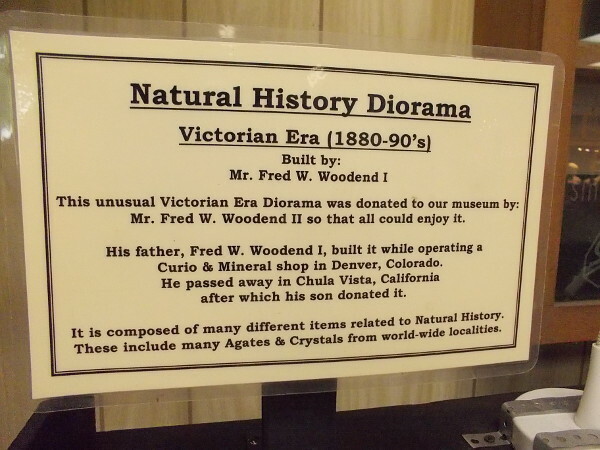 It was built by Mr. Fred W. Woodend I while he was operating a curio and mineral shop in Denver, Colorado. 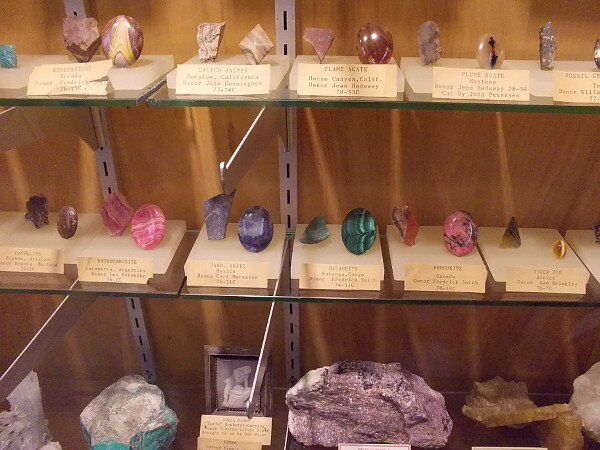 This big display case against one wall has lots of colorful minerals, including Calcite, Hematite, Halite and Wulfenite. 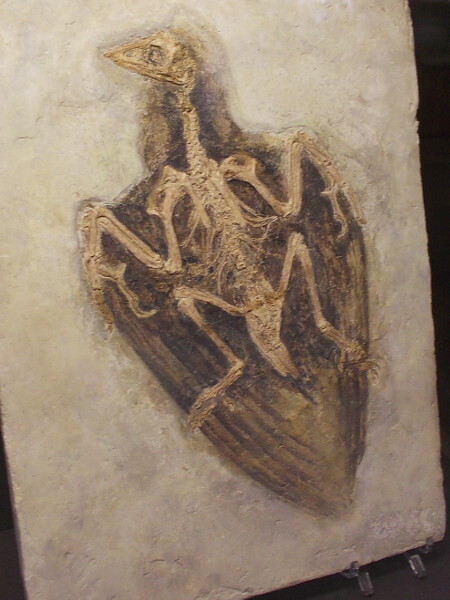 Primitive Fossil Bird, Confuciusornis sanctus, Early Cretaceous, 120-125 million years old! These early birds retain many primitive dinosaurian features. Among a bunch of fossils is a fossilized pine cone! 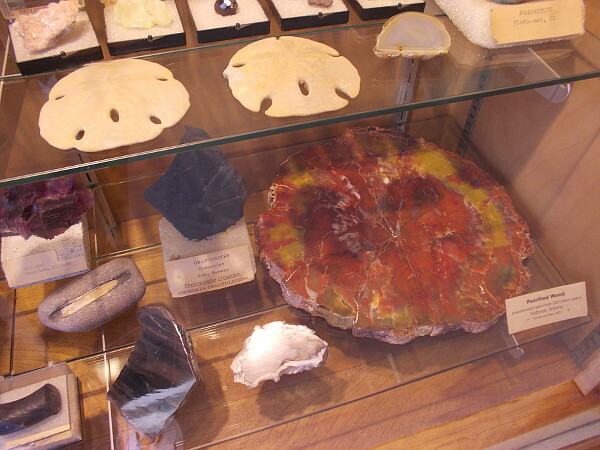 A variety of beautiful things on display, including a slab of petrified wood. It’s impossible for visitors to miss this portion of a fossilized skull. 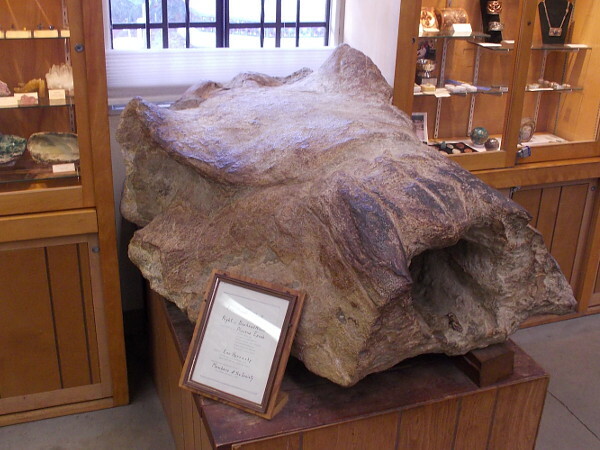 It’s from a Right or Bowhead Whale, which lived in the Pliocene Epoch 1 to 11 million years ago! 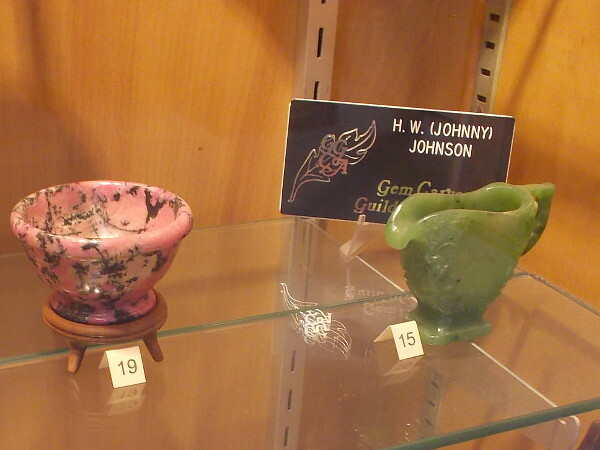 Amazing work by Johnny Johnson, a long time member of the San Diego Mineral and Gem Society, and member of the Gem Carvers Guild of America. 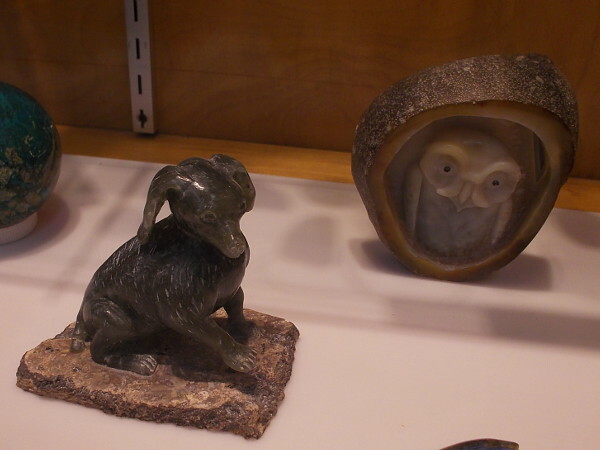 Examples of fantastic stone carving by society members. 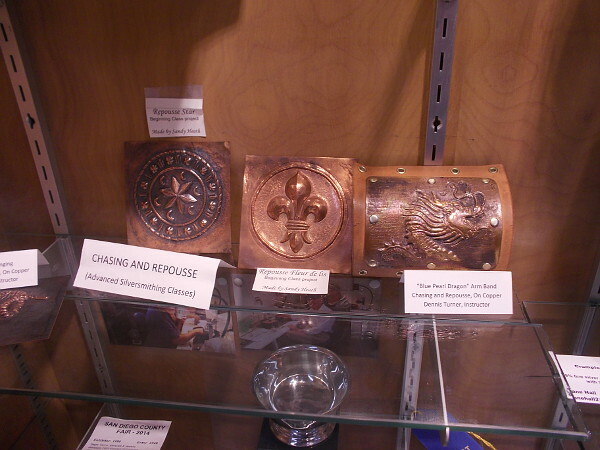 Chasing and Repousse on copper, a skill learned in advanced silversmithing classes. More small treasures in the museum upon which you can feast your eyes. 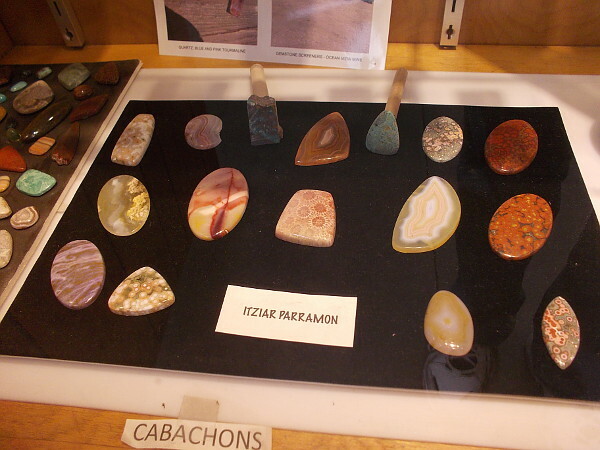 The San Diego Mineral and Gem Society has classes where you can learn cabochon cutting, faceting, silver fabrication, casting, enameling, bead stringing, rock carving, and sphere making. 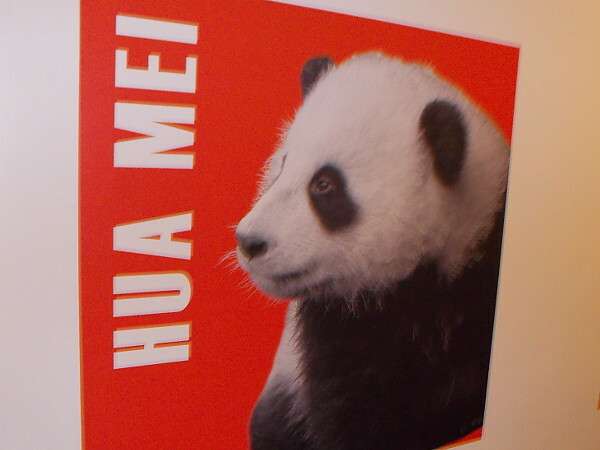 Join me for more Cool San Diego Sights on Facebook and Twitter! 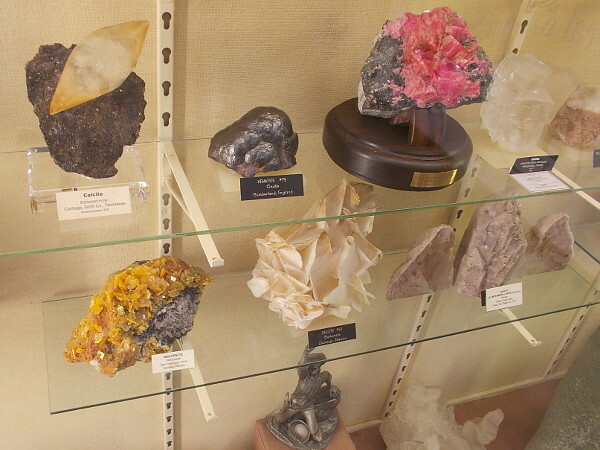 Posted on February 1, 2016 February 1, 2016 Tags balboa park, beautiful, fossils, gems, hobbies, jewelry, minerals, museums, nature, san diegoLeave a comment on Beautiful gems, minerals and jewelry in Balboa Park! A beautiful garden few visitors see in Balboa Park. 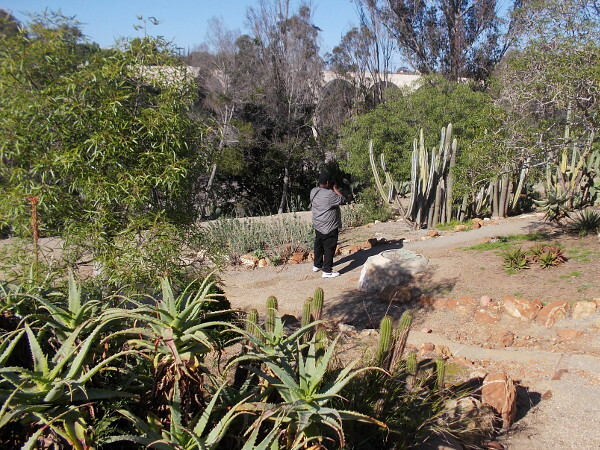 A rare visitor enjoys the rugged 1935 (Old) Cactus Garden behind the Balboa Park Club. 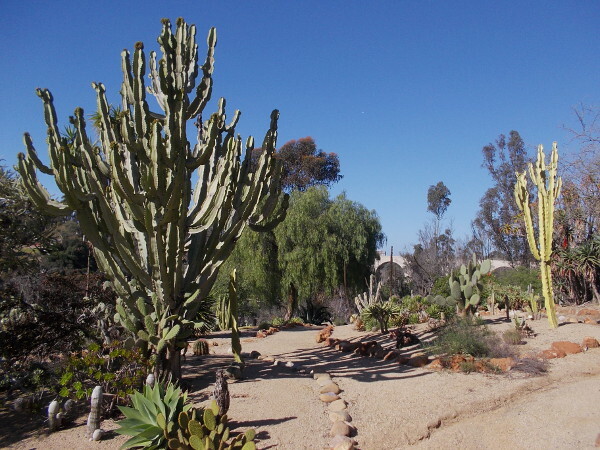 When people refer to Balboa Park’s cactus garden, they usually mean the wonderful Desert Garden on the east side of Park Boulevard, just north of the gorgeous, award-winning Inez Grant Parker Memorial Rose Garden. 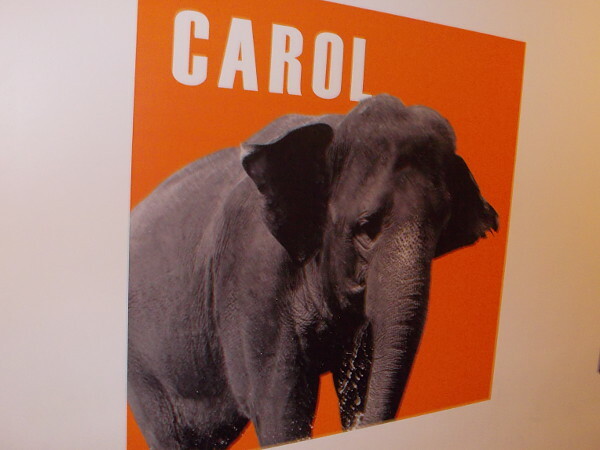 But there’s another. It’s called the 1935 (Old) Cactus Garden. 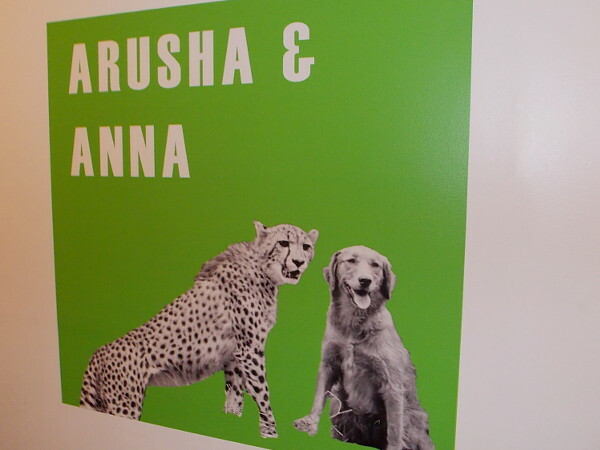 And few visitors to the park know it exists. 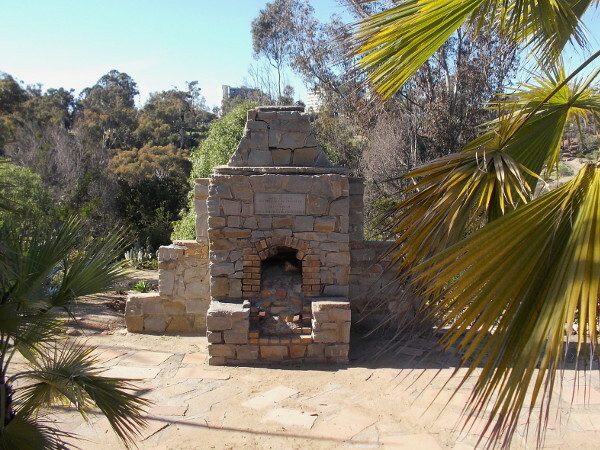 The historic old garden might be a bit raggedy and lonely, but it’s the perfect place to sit at a picnic bench and relax in the sun while enjoying a quiet view of Bankers Hill and the Cabrillo Bridge. And plant lovers have plenty of large, fascinating specimens to explore. 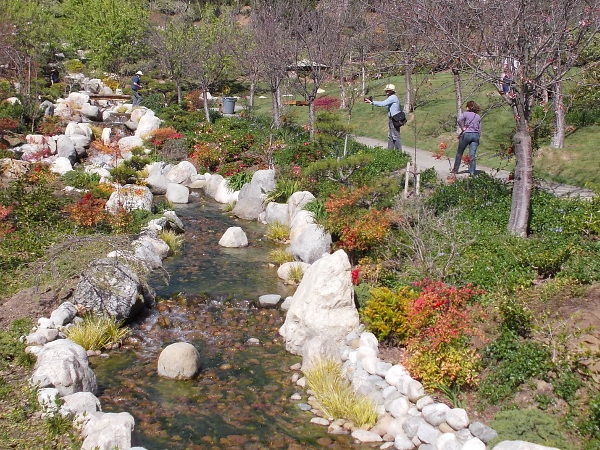 There are cacti, succulents and exotic Protea, not to mention trails that run down into the rugged nearby canyon and into tropical Palm Canyon, which runs toward the heart of Balboa Park. 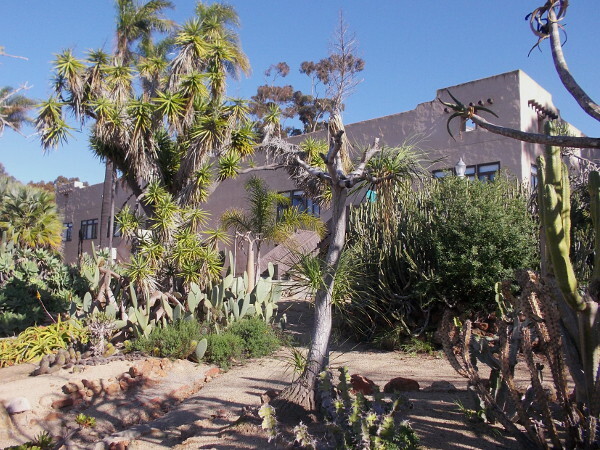 The old cactus garden was created by Kate Sessions (San Diego’s beloved botanist and “Mother of Balboa Park”) for the California Pacific International Exposition in 1935. It is located near a park employee parking lot, off the beaten path. You’ll find it behind the Balboa Park Club, which was originally the New Mexico State Building. The picturesque Pueblo Revival-style building was designed for the 1915 Panama-California Exposition. 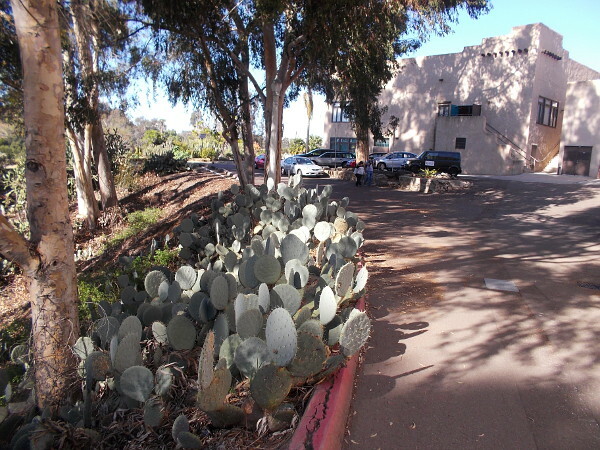 Some prickly pears line a driveway that leads to parking lots behind buildings in Balboa Park. 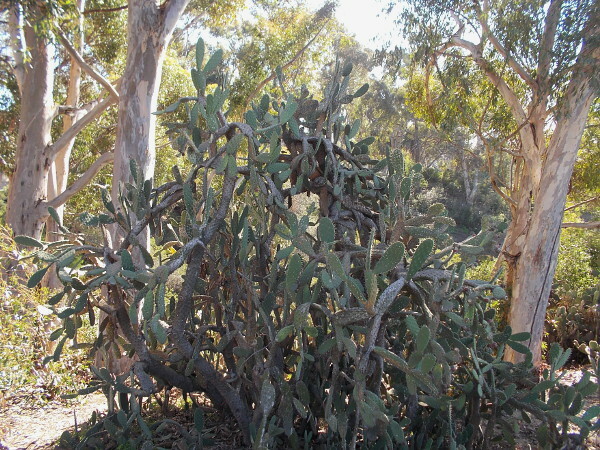 A huge old prickly pear cactus near the edge of a canyon filled with tall eucalyptus trees. 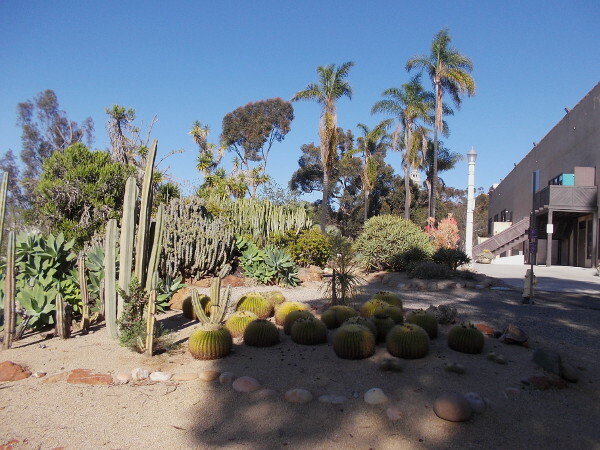 The 1935 (Old) Cactus Garden in San Diego’s beautiful Balboa Park contains many large specimens of cacti and succulents. 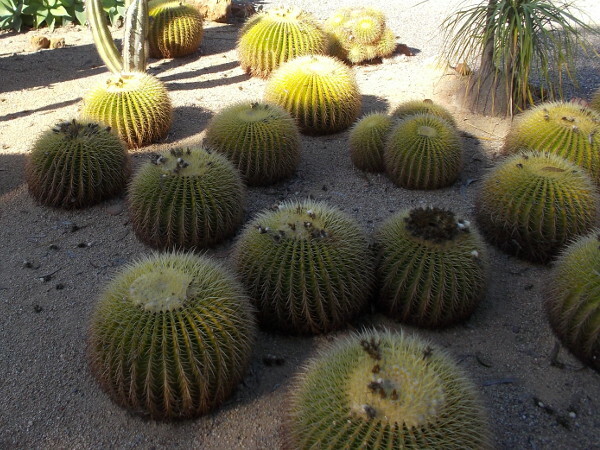 Barrel cacti in sunshine and shade on a fine day in Balboa Park. Several dirt paths run among the botanical marvels. Few people know this fantastic garden exists. Looking up through the cactus garden toward the rear of the Balboa Park Club. 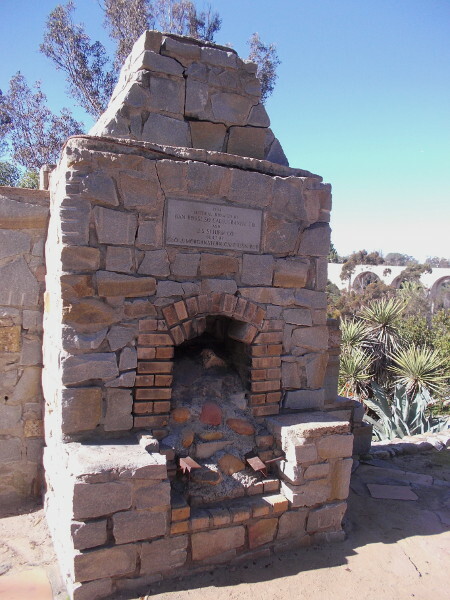 According to a plaque on this large outdoor brick fireplace, it was built in 1944 by Geo. J. Morganstern C.W.T. U.S.N. RET. A closer photograph of the stately outdoor fireplace. 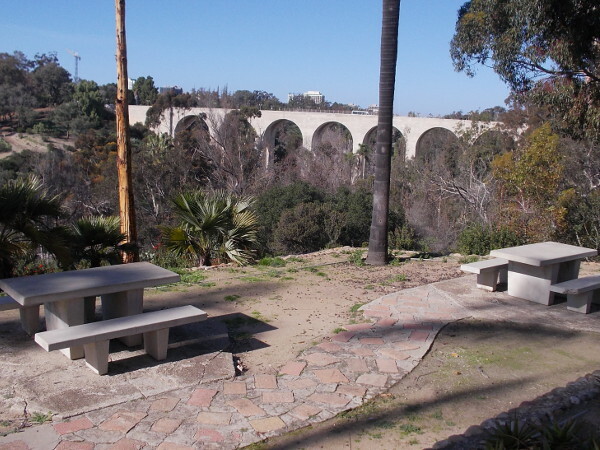 Seldom-used picnic benches overlook the historic Cabrillo Bridge in surprise-filled Balboa Park! Posted on January 31, 2016 January 31, 2016 Tags balboa park, beautiful, cactus, gardens, nature, photography, plants, san diego, tourism, travel2 Comments on A beautiful garden few visitors see in Balboa Park.